If you are interested in any of these roles below please email us your CV with a cover letter to Recruitment@Faustworld.com. Please state your applied job position in the subject line. Energetic, reliable, proactive, experienced and qualified drama teachers with a proven track record in teaching children and passionate about introducing young children aged from 3 to 18 to the wonderful world of theatre. 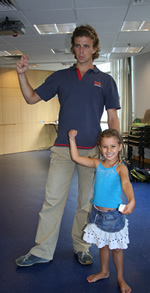 Practising actors/directors also considered provided they have extensive experience working with children. A more detailed job description is available here. We have various age groups and locations on Saturdays and after school during the week. Drama enthusiasts experienced in working with children and wishing to develop their knowledge of drama teaching. A more detailed job description is available here. We have various age groups and locations on Saturdays and after school during the week. Current drama students aged 16+ with a passion for both theatre and working with children. A more detailed job description is available here. We have various age groups and locations on Saturdays and after school during the week. Visa sponsorship is available for the full time position only and not part time positions. We also provide internships and recruiting student leader positions for students aged 16 and above. Please do contact us at 2547 9114 and send us your resume at recruitment@faustworld.com.